Lucy co-founded Rethink Press in 2011 with her business partner Joe Gregory. A hybrid publisher, Rethink Press publishes the business books of entrepreneur authors. 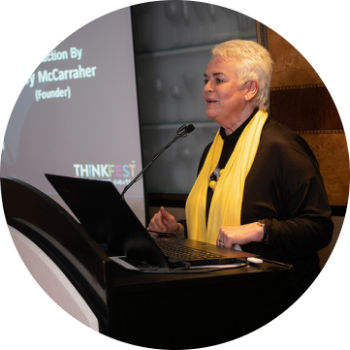 She started working with Dent Global in 2013, and mentors hundreds of entrepreneurs through planning and writing their books on the international Key Person of Influence programme. 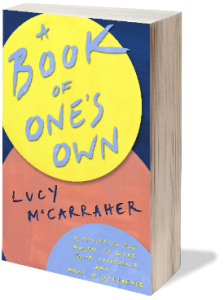 In 2017, Lucy founded the Business Book Awards to celebrate the quality and variety of business writing and publishing; the BBAs are now a key event in the business book publishing calendar. Lucy is the author of twelve books, including How To Write Your Book Without The Fuss, with her business partner Joe Gregory, and How To Write Fiction Without The Fuss. Her first novel, Blood and Water, was short-listed in the Richard and Judy Novel Competition and published by Macmillan New Writing, followed by Kindred Spirits and Mr Mikey’s Ladies. Lucy’s self-help books include A Simpler Life and The Real Secret, both co-authored with social psychologist, Annabel Shaw. 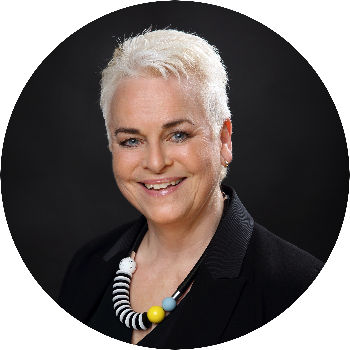 Lucy was an early champion and national expert in work-life balance, writing academic and business reports for clients and authoring The Work-Life Manual and The Book of Balanced Living. Her clients included multinational and blue-chip companies, including Virgin, Microsoft and several banks, large public sector and voluntary organisations, and SMEs. Lucy started her first publishing company while she was at university in Australia, and has been writing, editing and publishing ever since. She has been a magazine and book editor and publisher; print and TV journalist in Australia and the UK; a writers’ agent, and an editor for Methuen. As Director of Development at Lifetime Productions International, she developed, wrote and script-edited UK and international TV and video series. Lucy has a degree in English and Drama, a post-graduate diploma (DTLLS) in teaching Creative Writing and Literacy and speaks regularly about writing and publishing.